Over their lifetimes, baby boomers are estimated to receive inheritances totaling $8.4 trillion — undoubtedly leaving this generation with the question: What should I do with my inheritance money? The answer: Invest in your retirement. While $8.4 trillion might already be on the way, another $3.2 trillion is expected to add to that, when taking into account inheritances that are passed on while older generations are still alive, a study by MetLife and Boston College suggests. But if research holds true, Americans will only hold onto half of their inheritances, according to The Ohio State University’s Center for Human Resource Research. This makes investing in your future even more important. “People need to plan for inheriting wealth to avoid the pitfalls that result in so many heirs making emotional or ill-informed decisions they later regret,” writes Michael Abbott, a veteran financial consultant and chief financial officer of The Abbott Bennett Group, in a statement. An annuity is an insurance product that pays out income. You make an investment in the annuity and then it makes payments to you, giving you a dependable income stream during retirement. Investing in an annuity could help prevent you from spending all of your inheritance, says Alan Moore, certified financial planner with Serenity Financial Consulting LLC in Milwaukee, Wis.
Moore says he has taken this approach with a client who inherited a significant amount of money and couldn’t stop spending it. “Especially when you’re going through a grieving period, it can be easy to go through money [more quickly],” he says. Investing in your own health care needs for the future is another way heirs can make sure their inheritances don’t go to waste. Doing so can also protect your family from having to provide financial and caregiving support down the road. 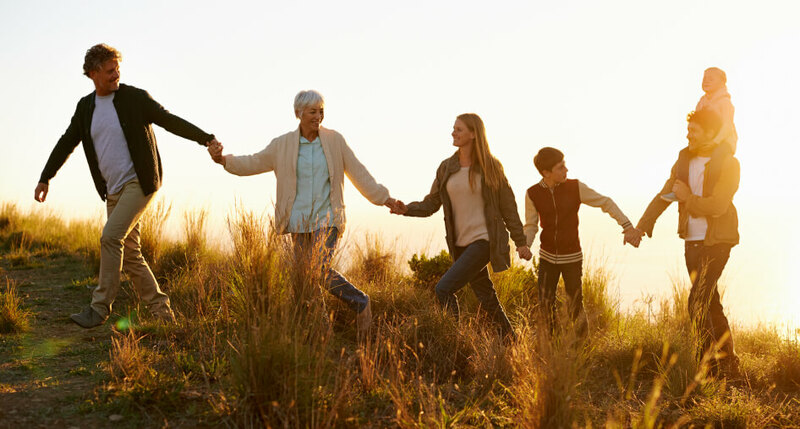 “When my mom passed away, I invested my inheritance in my daughter by buying another long-term care [insurance policy],” says Shawn Britt, director of advanced consulting for Nationwide. Long-term care insurance, unlike traditional health insurance, is designed to cover long-term services and supports, including personal and custodial care in a variety of settings, such as your home, a community organization or other facility. This type of insurance is often called a “use it or lose it policy” because if you don’t use the benefit, you lose it. But a number of other products exist that can also cover your long-term care needs. Speak with a financial adviser today to learn what will work best for you. The Ohio State University study suggests that adults who receive an inheritance save only about half of what they receive, while spending, donating or otherwise losing the rest. But saving your inheritance can provide a big financial boost in retirement. “Savings provides a financial safety net. … People who do not have a financial safety net often end up in bankruptcy or foreclosure when unexpected problems arise,” Jay Zagorsky, author of the OSU study, tells Bankrate, a consumer financial services company. “If people cannot build up savings by spending less than they earn, then it is important for people to save some of the money they receive as inheritances and gifts,” says Zagorsky, research scientist at The Ohio State University’s Center for Human Resource Research. Consult a financial adviser to determine how to use your inheritance for retirement. Talk Today to a Financial Advisor! Let us match you to a certified retirement planner for a FREE one on one telephone session. Get a FREE one on one consultation! It is easy to get the answers you need!